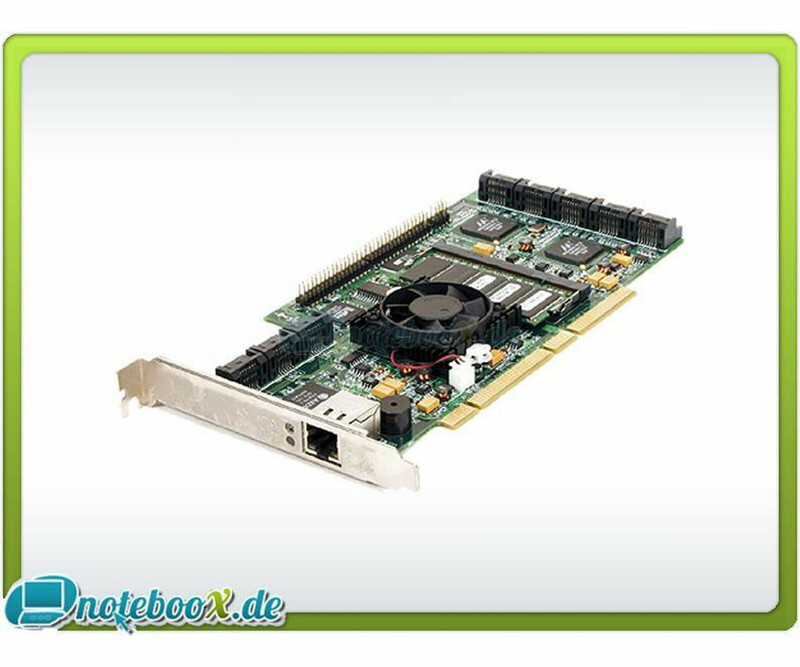 LSI SAS3080X-HP - Storage controller (RAID) - SATA-300 / SAS - PCI-X - Used"
Areca 1160ML's high-performance PCI-X RAID controllers support up to 12 SATA II devices to an adapter. These RAID controllers have the same kernel as the proven external RAID controller. Areca RAID controllers are ideal for file servers, web servers, supercomputing, NAS, near-line backup, streaming Application Server (video, mp3) and safety-related systems. Arecas high-performance 1160 PCI-X RAID controller supports up to 16 SATA II devices to an adapter. This RAID controllers have the same kernel as the proven external RAID controller. Areca RAID controllers are ideal for file servers, Web servers, supercomputing, NAS, near-line backup, streaming Application Server (video, mp3) and safety-related systems. Since the demand for storage capacity is constantly growing you need safe, fehlerredundante RAID controllers that provide secure data even when multiple disk failures. This is economically possible with RAID 6. RAID 6 provides greater fault tolerance than RAID 1 or RAID 5, while using only two drives for parity data. Areaca RAID controllers, which are equipped with RAID 6, the same can calculate two parity blocks and achieve thereby the performance of RAID 5. Works with Windows Vista / W7 The "Works with Windows Vista / W7" indicates that the product has been extensively tested by the manufacturer to baseline compatibility with Windows Vista.